While my D.C. Randonneurs compatriots were slugging it out on the Frederick 300K this weekend, I took a break from the local scene to complete my first ever Fleche with the Oregon Randonneurs. Mutual friends in the Seattle Randonneurs put me in touch with accomplished recumbent endurance racer Michael Wolfe of Portland, who roped in Sam Huffman of Portland and Mark Thomas, the president of RUSA and Seattle International Randonneurs. 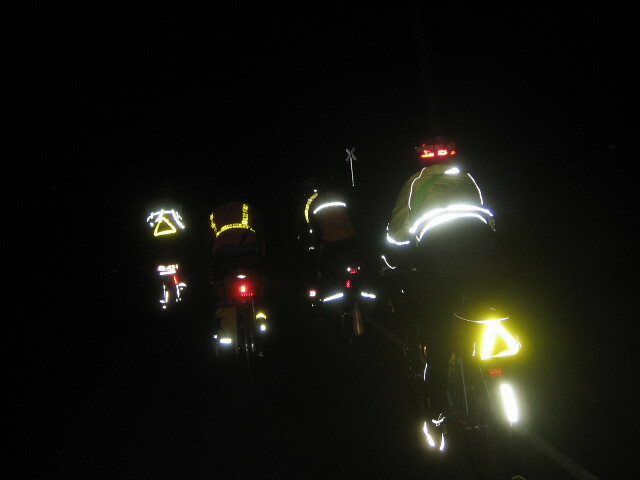 Our team, “The Spirit is Willing,” (I’ll leave the rest to you) completed 400K to the north and west of Forest Grove, Ore., just to the west of Portland. Michael lives to ride scenic roads and put together some of his favorites and a couple of new segments. As we all know, scenic means hilly, and this one was hilly! We don’t have a good estimate, but the course would be quite at home as a D.C. Randonneurs 400K. The weather was cool and cloudy with some sprinkles. After 11 years of randonneuring, I have my fleche! Story to come. For now, here’s a picture. Thanks to Susan France and the team for welcoming me. Hey. Nice to meet up with you and your bicycle over the weekend. Here is a flickr set of my pix from the ride (including cameo view of you and your rig). 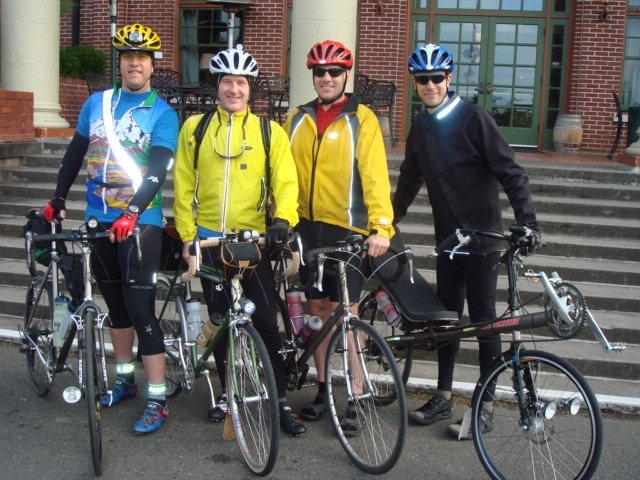 Hope to see you at future Oregon randonneur events.. Thanks Lesli! I have pictures of your team that will go up with my story. It was a treat to see some friends from last year’s Seattle rides and meet the ORR crowd. I’ll be back with Mary in tow!